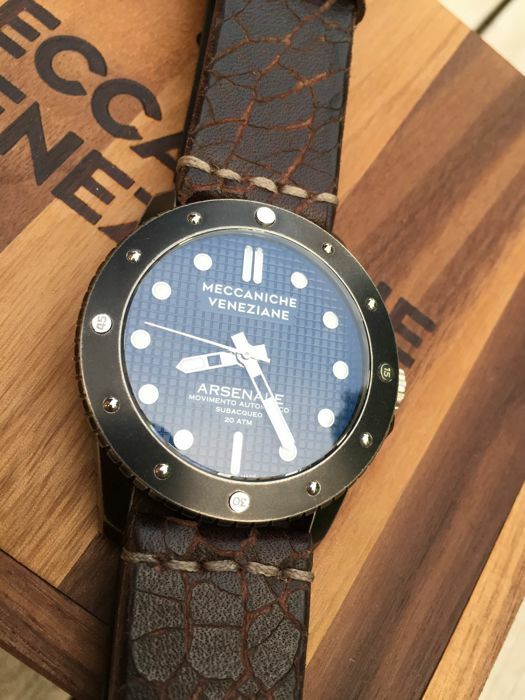 NEW watch, never worn, still with protective film! 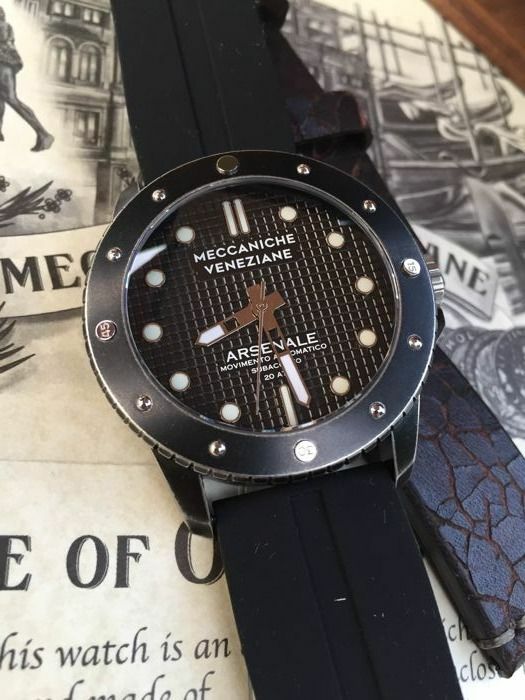 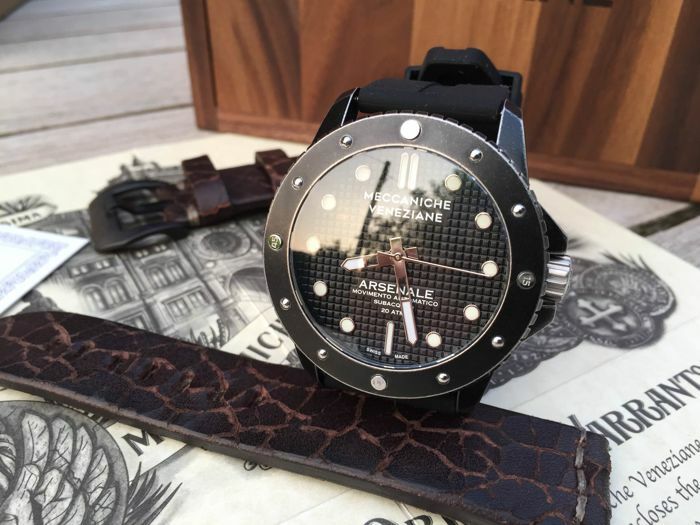 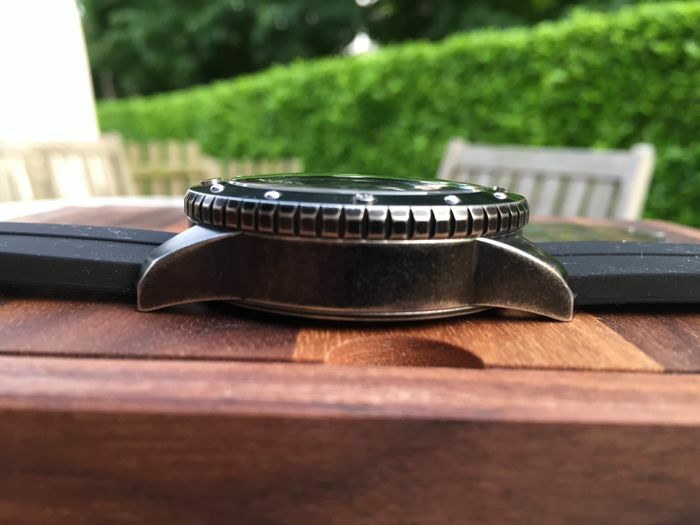 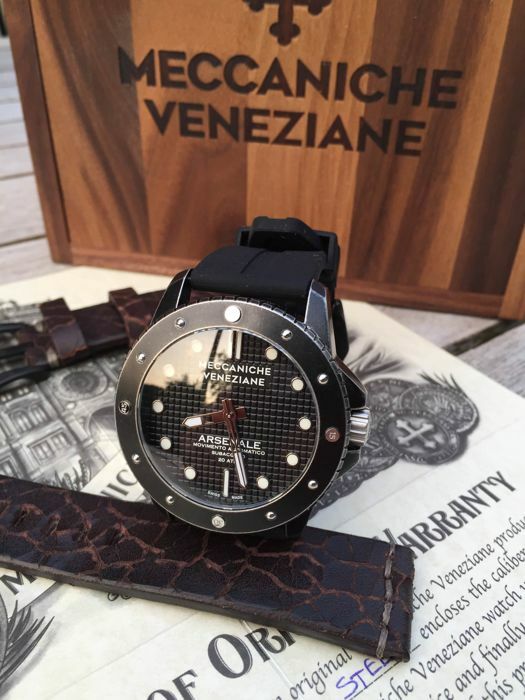 - Steel case, 45 mm with antiqued PVD treatment that gives the watch a beautiful vintage look. 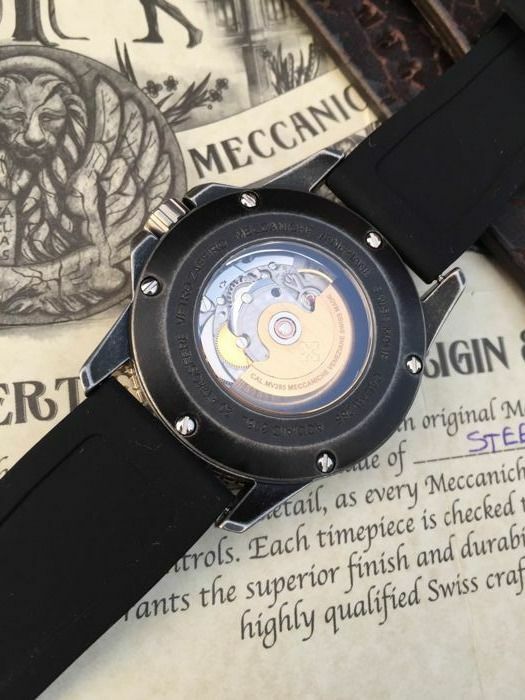 - MV285 automatic movement with hand-wound option, Swiss made, derived from Eta 2824. 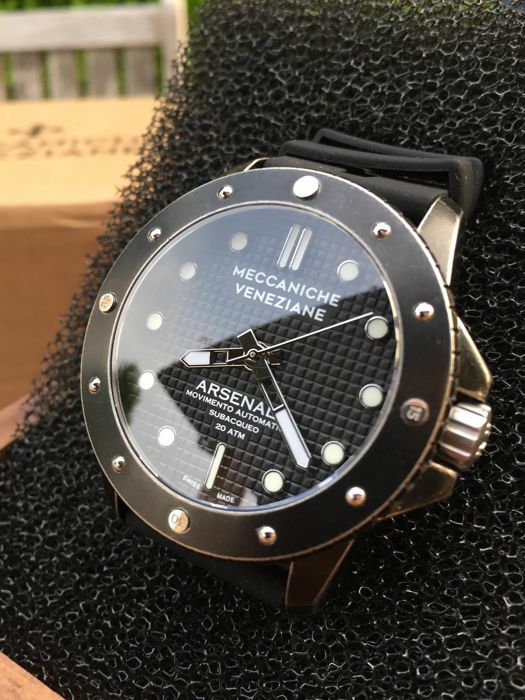 - Sapphire crystal with anti-glare treatment, also mounted on case back with visible movement. 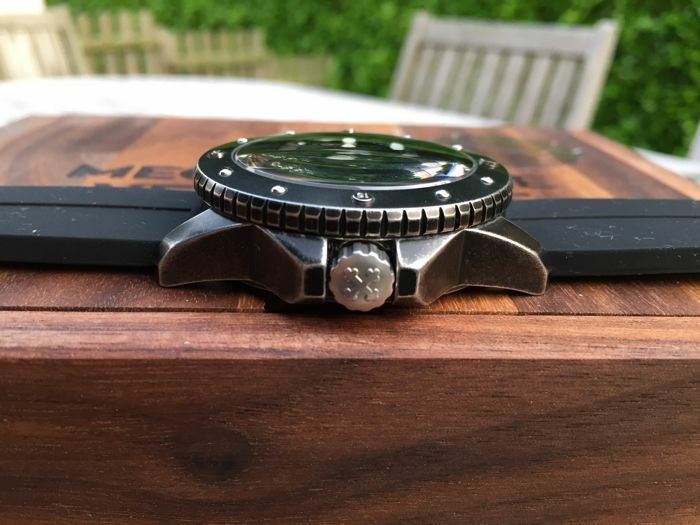 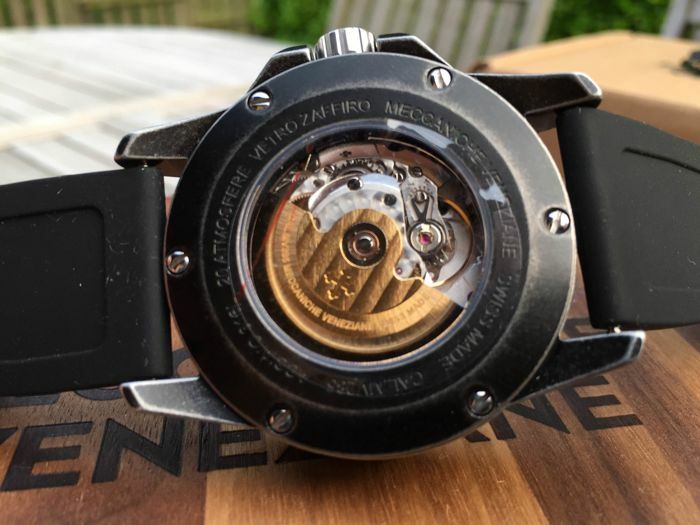 - Hour markers and hands treated with BGW9 Super-LumiNova, with excellent visibility in the dark. 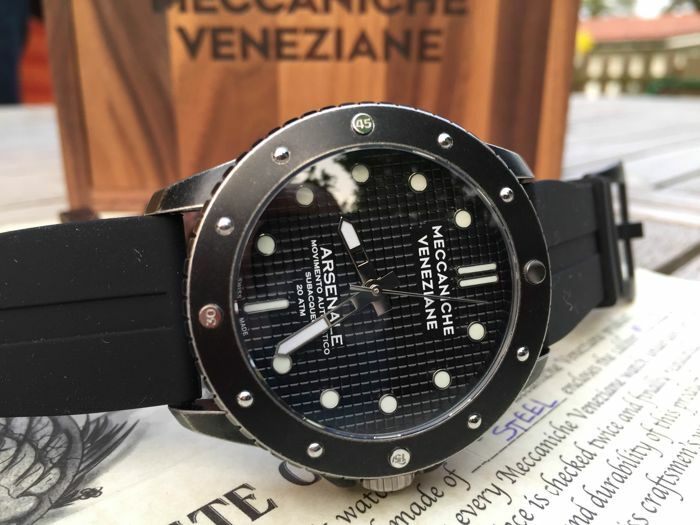 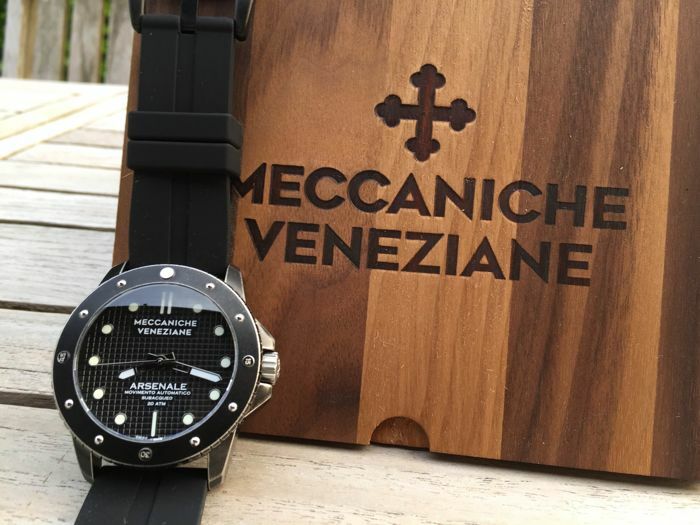 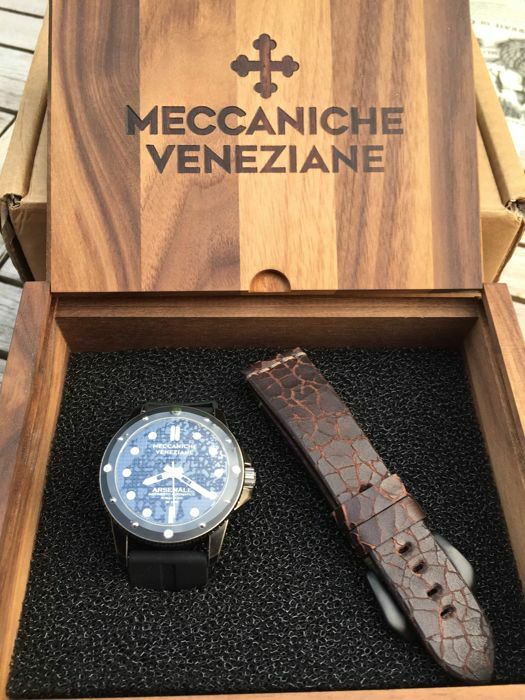 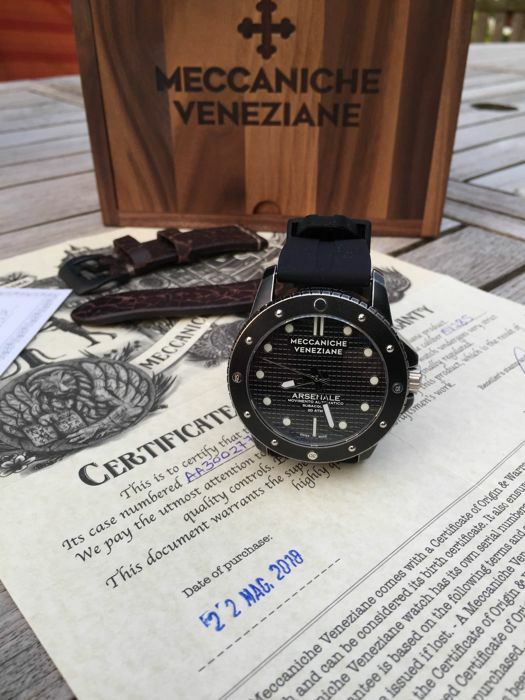 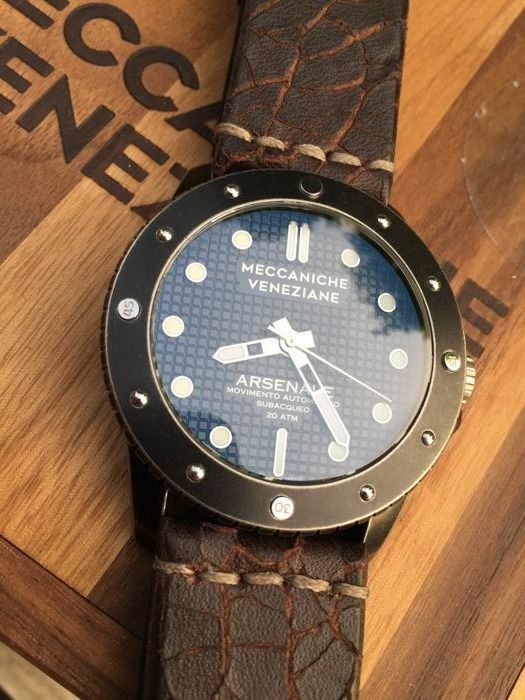 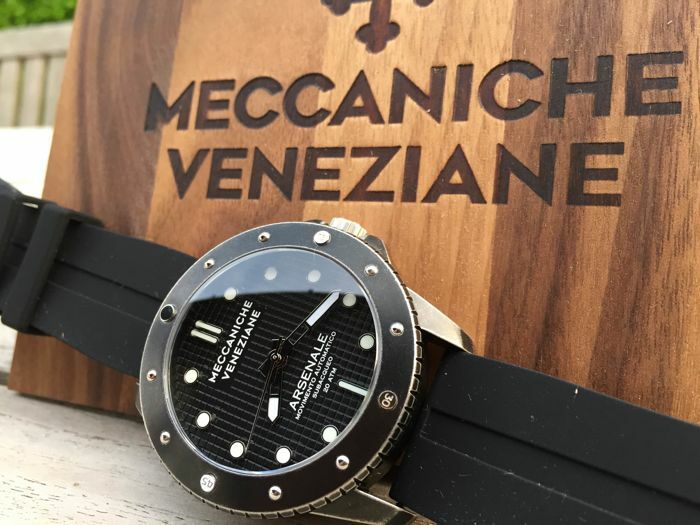 - Water resistant up to 200 m.
- Leather strap, handmade in Italy with very high quality antique effect, lug width 24 mm, measuring 12.5 + 7.5 cm (excluding buckle). 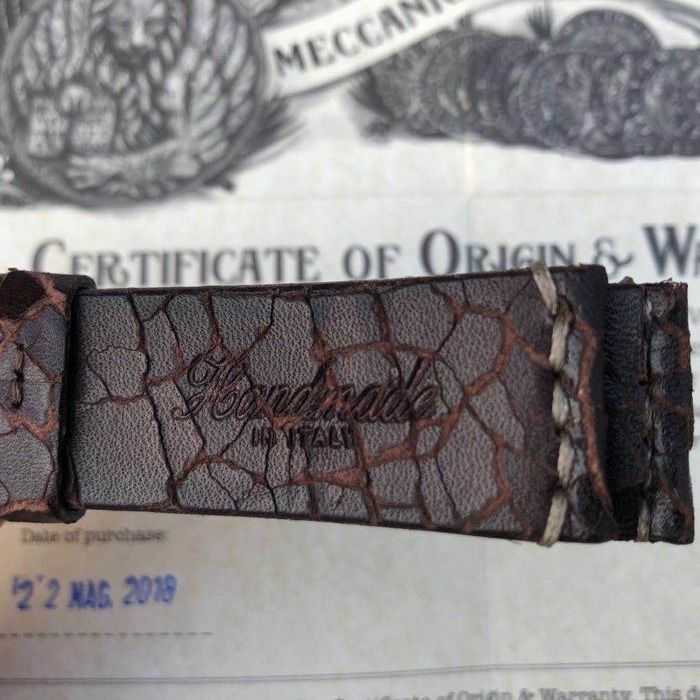 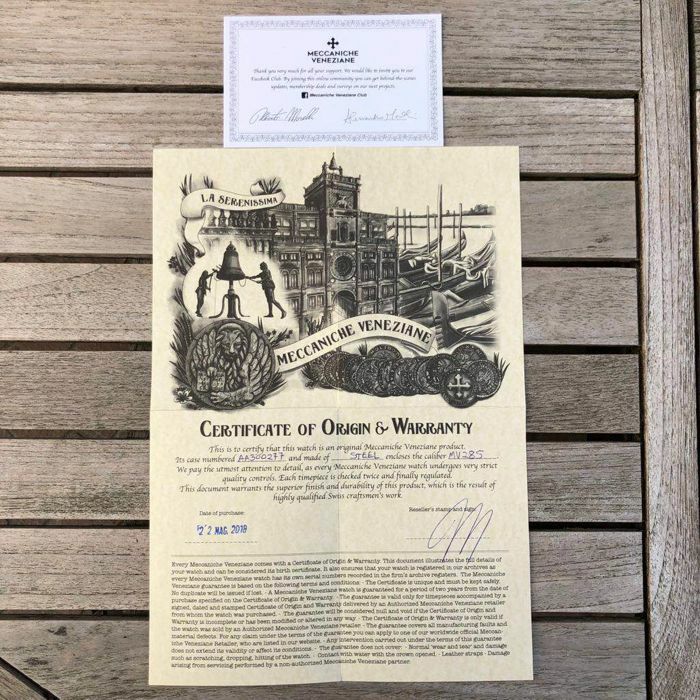 - Certificate and guarantee stamped on 22/05/2018.